We’ve formally launched our cloud service! NAIROBI, 8th April 2015. Angani, the first fully automated cloud infrastructure company in the region, today officially launched their cloud and hosting services. 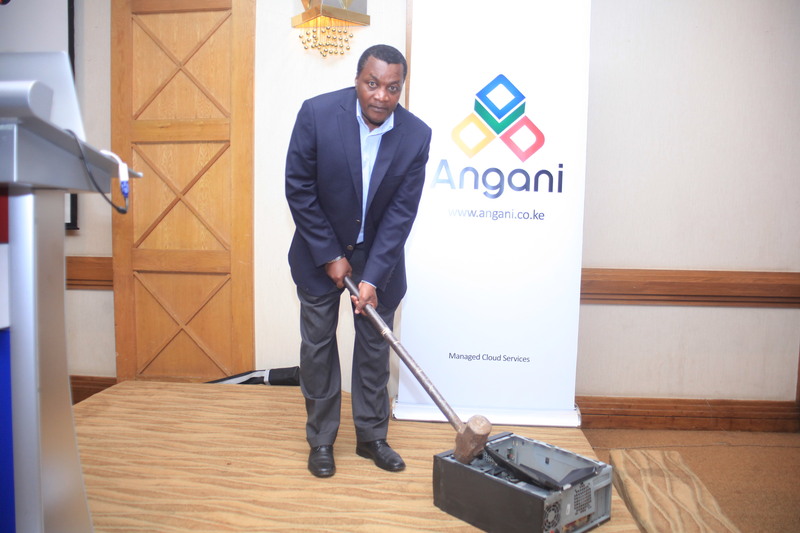 Angani also announced their partnership with local data center operators that will make it safe and cost effective to provision cloud solutions. With Angani’s cloud platform, users can have a new server operational in a secure, reliable datacenter within 15 minutes. These services will enable businesses to leverage the flexibility of the cloud for both temporary and mission-critical data workloads, such as enterprise applications and web applications. Angani cloud services have been certified for meeting high-quality operational standards in a secure environment. Angani clients can host their own virtual data environments hosted on the cloud infrastructure or utilize some of the already setup services. Angani’s public cloud infrastructure enables businesses to develop, test and customize applications quickly while reducing the need to invest in servers and reducing recurrent expenses. The cloud service will deliver the benefits of mobility while at the same time offering a flexible and scalable environment. “Our clients can benefit from the Angani cloud by taking up the space the require and only increasing the capacity when they need to. This will deliver significant cost savings and efficiency coupled with our experience gained from many years of managing cloud services,” said Phares Kariuki, the Chief Executive Officer of Angani. “Businesses have for a long time spent millions of shillings for IT infrastructure that they thought they would require at some point in the future. Angani cloud services will now allow organizations to pay for the capacity they need and easily upgrade when the need arises.” He added. Speaking during the launch, Mr. Victor Kyalo, the CEO of ICT Authority praised the founders of Angani for their move of setting the cloud services in Kenya. “The cost of setting up IT services in Kenya will now be reduced with the setup of cloud infrastructure. Businesses will no longer need to buy expensive IT infrastructure for their operations. They can now lease the capacity that they require and easily upgrade when the need arises.”. “The cost of bandwidth is also poised to go down as more companies use locally hosted services. The main barrier to affordable internet connectivity, at the moment, is the cost of international transit links.” He said.